Apple’s AirPods are one of the company’s most popular accessories, and they’re pretty great. Like all modern wireless headphones, they have firmware that sometimes needs to be updated for optimal performance. 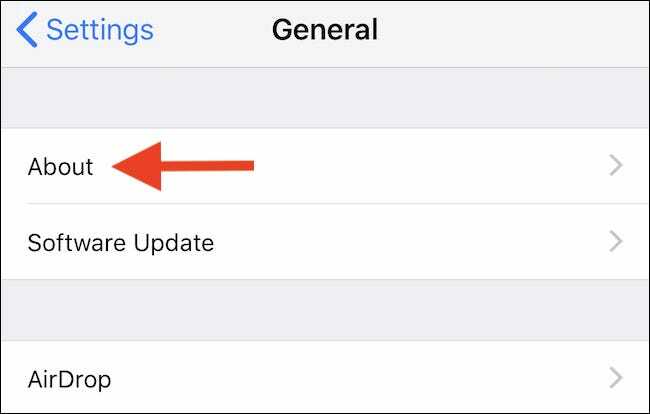 Here’s how to update the firmware on your AirPods. With no screen to speak of it can be easy to forget that wireless headphones often need firmware updates to make sure that hey work as well as they possibly can. Sometimes the updates even fix bugs that have been reported. If your AirPods are misbehaving, it’s always a good idea to check whether there are software updates available. Your AirPods are in their Charging Case. The Charging Case is plugged in or placed on a Qi charger if using a Wireless Charging Case. 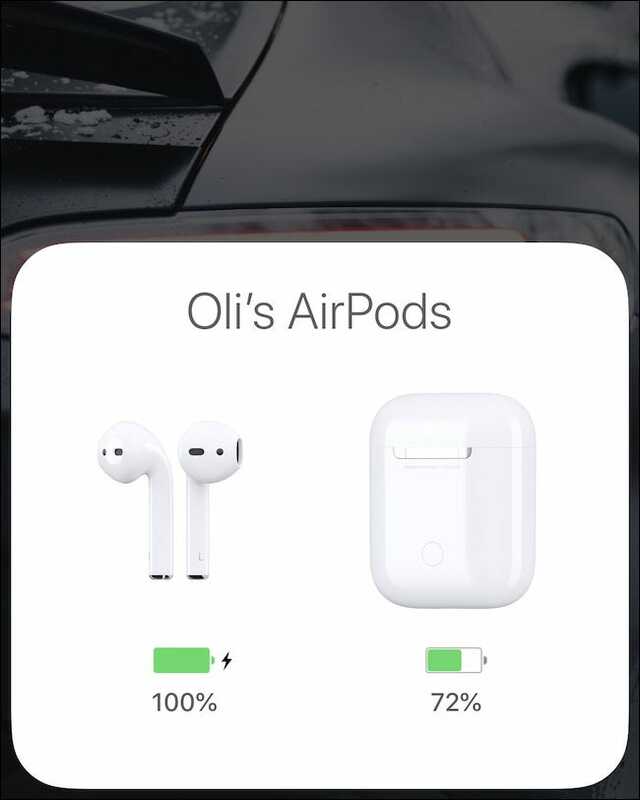 The AirPods are within range of a device to which they have previously been connected. That device also needs to have an internet connection. That should be all that’s needed to make sure that your AirPods take care of any firmware updates automatically. It’s likely that this will happen without you realizing—when you charge your AirPods, for example. There are some times you may wish to kick an update off manually, however. First, let’s check which version of software the AirPods are running currently. With your AirPods in their Charging Case, open the lid near your iPhone. Dismiss the on-screen battery indicator that appears and then open the Settings app. 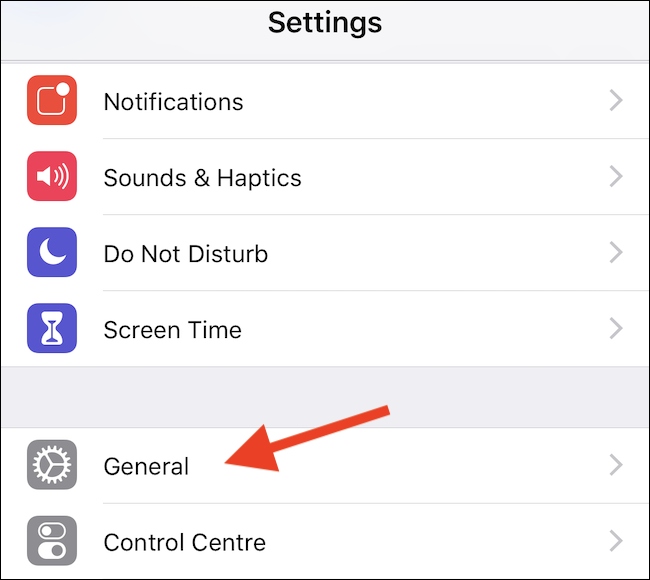 Inside the Settings app, tap the “General” button. Next, tap “About” to progress. Scroll to the bottom of the screen, and you will notice your AIrPods listed. Tap their entry. This screen will show you the current version of the firmware installed on your AirPods. 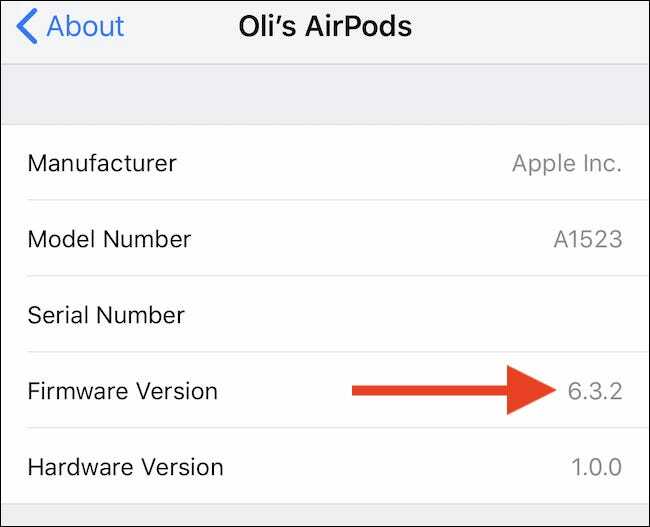 If you find that a new version of the AirPods firmware is available, but not yet installed, you can try forcing your AirPods to update. To do so, put your AirPods into their Charging Case, start charging the case, and place it near your iPhone. Next, open the cover and then dismiss the on-screen battery display. That should be all that’s needed. You may not have to plug your AirPod case in to charge (or charge wirelessly, if you have a new case that charges wirelessly) if you have enough battery power. However, charging will ensure that your AirPods try updating and don’t delay the update to save battery. You won’t see anything on-screen to suggest an update is underway, which isn’t ideal. However, leave your AirPods for a few minutes and then follow the process above to check the current firmware version. It should have changed to the new version.